Have you ever fallen down the Pinterest rabbit hole? Fallen absolutely in love with an image only to find out you have no idea how to recreate the look or that it’s way out of your budget? Well, at Parsimony Inspired, we have your back! Parsimony Inspired is a daily inspiration site geared toward the everyday bride and groom. We’re lovers of all things pretty, but realize that most people can’t afford a $3,000 flower arch for their wedding! Our passion is giving you the power to recreate the themes that you love on an everyday budget in all facets of your life. Whether it be affordable and delicious recipes, wedding details, fashion, beauty, or entertaining, we’re here to simplify and make your dreams attainable, because everyone deserves to live their best life, regardless of their budget! Parsimony Inspired reaches readers around the world and has received praise from major publications including Wedding Flowers, Her Campus and Wedding Chicks. Cheers to creating events that leave lasting memories for you and meaningful experiences for your guests! Melissa began dreaming of starting an event planning business back in 2009. After many years of toying with the idea and slowly building piece by piece the elements that she thought could make a chic, creative and enduring venture she quietly launched Parsimony Inspired in 2012. Graduating from University of Massachusetts with a degree in English, she found herself being presented with an amazing opportunity of working for a leading organization in the non-profit sector. Over the years, her work gradually moved into event production and she found that she excelled in this work. Melissa has over 6 years of experience in consulting, planning and coordinating events on a corporate level. After planning her wedding, Melissa realized that her unique background in producing art and cultural events had given her an eye for detail that made her a perfect fit for special occasion event design and planning. When she is not planning, creating or obsessing over the latest looks, you can find her digging through flea markets searching for treasures to share with her next client! Growing up, Jill always dreamed of working in the wedding industry. After meeting Melissa in 2015 and learning about Parsimony Inspired, she knew that it was something she needed to be a part of. Upon graduating from the University of Massachusetts Amherst in the spring of 2016, Jill was excited to officially become a member of the Parsimony Inspired team! With a background in writing and marketing, Jill enjoys creating new content for our readers as well as working to improve our branding and marketing strategies. Through her experiences with Parsimony, she has become even more adventurous with her DIY projects and thoroughly enjoys spending her weekends getting her hands dirty with projects to share with readers! Kate is a senior at the University of Massachusetts Amherst majoring in communication. Her future goal is to attend grad school in the fall of 2019 for a Digital Social Media masters program. Until then, she hopes to incorporate her vast knowledge of social media from the University onto Pinterest as the Pinterest Management Intern for Parsimony Inspired. When she’s not in class, you will find her scrolling through social media for the latest trends in beauty, fashion, and decor. She’s excited to expand those hobbies into real professional work, and to see her potential grow outside of the classroom and into the world. 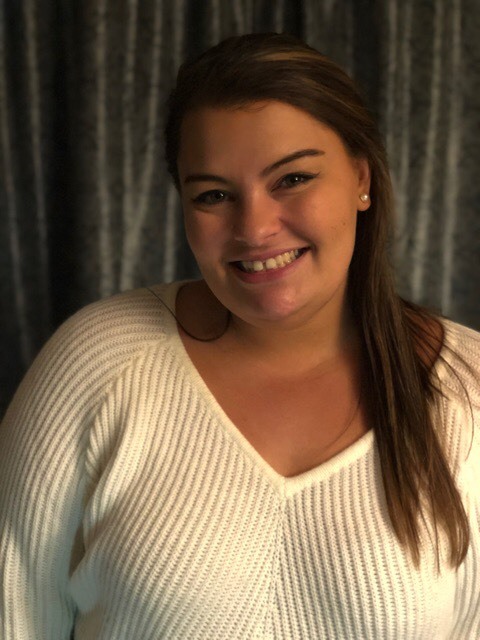 Shaye is a sophomore at the University of Massachusetts Amherst pursuing a dual degree in Marketing and Hospitality and Tourism Management. She is involved with several business clubs at school and enjoys reading, exercising, and finding new music outside of the classroom. She dreams of one day being in the wedding and event planning industry so she can share tips and trends with new brides to be! Hannah is a recent graduate from the University of Massachusetts Amherst. She chose to follow her two biggest passions, reading and writing, all throughout college, so she studied both English and Journalism. Hannah has some background in editorial work, but her interests outside of work include browsing bookshelves for the next novel to power through, creative writing, and attempting new DIYs whenever possible! She’s always had an interest in the wedding industry and can’t wait to explore every last bit of it with the team at Parsimony Inspired as an Editorial Assistant! Emily is a sophomore at Bridgewater State University majoring in psychology. She has a passion for beauty and DIY. When she's not in class or studying, you can find her playing around with the latest make up trends or cooking up her next DIY project. Emily is excited to share her talents with the Parsimony team to help provide the everyday girl and boy with some tips and tricks of the trade! Jaclyn Lopes, part owner to Brush. salon, a hairstylist and a national educator for Z.one concept the manufactures of Milk Shake and NO Inhibition hair care products. Throughout her 10 years in the industry, she has thrived on education. In an industry that is constantly changing with the fashions around us, she believes staying up to date with trends keeps her on her toes and excited about her work. Brush. salon is a unique boutique style salon nestled in the suburbs of western Massachusetts. The owners Jaclyn Lopes and Tammy Chamberlin recently purchased this beautiful space. As new business owners they are passionate and inspire to build their knowledge through education as well as their clients to create and maintain a beautiful mane. Interested in becoming a Parsimony Inspired contributor? Reach out to us at jill@parsimonyinspired.com to learn more!